... give or take another 999,999,997 more such questions. Unfortunately, I can’t fix you up with any cute guys or girls to help you avoid these questions in the future. However, I can fix you up with some good snappy comebacks to fling at anyone who dares to question your single status. So, next time somebody dares to ask you that “Why aren't you married?” question, pause, smile sagaciously (I love that word; it means “wisely”), and offer up one of the following. Or, just review them for your own personal satisfaction. 1. In the beginning, there were no elliptical trainers or low-fat/high-fiber muffins, and so people lived to only about 40-something. Maximum. Meaning, the pressure was on to get married before age 25. However, today, thanks to medical advances, we can all hope to live to 80. Easy. Meaning? Even if we marry at age 40, that's still 35, 45, even 55 years to be with a mate. Plenty of time to be married. What's the hurry? * The Lone Ranger: Single. Actually, virtually all superhero types are single: Superman, Wonder Woman, Dudley Do-Right. And then there’s The Ultimate Superhero: God—also single. 4. Plus, when you think about it, there’s no such thing as a Stepford Single Woman. 6. It’s interesting how our culture has the expression “happily married,” but no expression “happily single.” And those words are 100% certified by the US Census Bureau. Statistics show that although married men are reported to be happier than single men (surprise, surprise! )—single women are reported to be happier than married women (also a big surprise, surprise!). Meaning? This only furthers the irony that single women are branded as "unhappy” and “lonely” and “loser-esque"—when single women are just boldly holding out for the right situation, rather than getting married just to get married. 7. It's easy to become married. Millions of people do it every year. If you want to pressure me to become something, hey, why not pick something a little more challenging—like an astrophysicist. 8. True love is rare. That's why it's called "love" and not "really like" or "settling." And why we don't say: "I’m settling for you, honey" over candlelit dinners. True love is worth waiting for…and that’s what I’m doing. I have always thought "happily married" is an oxymoron... something like I am "happily retarded" or I am "happily invalid" ... why else would they have to try to remind themselves and everyone else that they are "happy"? Shouldn't it just show? For a very smart guy, you don't know what your talking about. Yete Voch mer General@ General jan inch hali es ??? General JAn Tuyl k@taq Dimmel ??? zut andznakan HArtsov ??? Getting married is very easy, especially if you elope and do it at a resort. Getting divorced, however, is rarely easy. You can always get married. These days women are having children in their 60's. Charlie Chaplin had children in his 80's. That actor from the "Odd Couple," Tony Randall, had his first child in his late 70's. Edited by phantom22, 18 June 2005 - 04:03 PM. When you look out the window and see a pig flying. Edited by ExtraHye, 18 June 2005 - 09:46 PM. 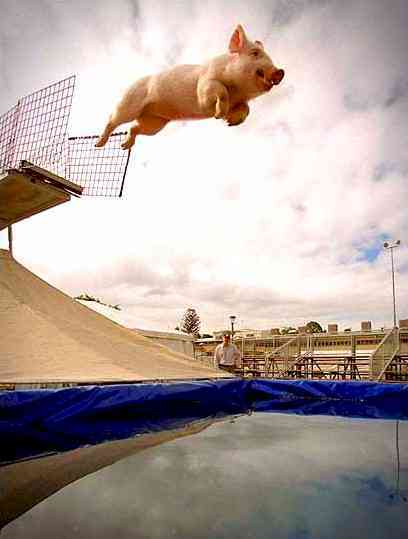 ok extra jan i just looked in to my window and The Pig is Flaying janik so wan is it ??? Edited by armjan, 22 June 2005 - 10:27 PM. This is a bigger list of demands than Borat had when he went to the dating agency. Oh, and if she cheat on me, I will crush her.